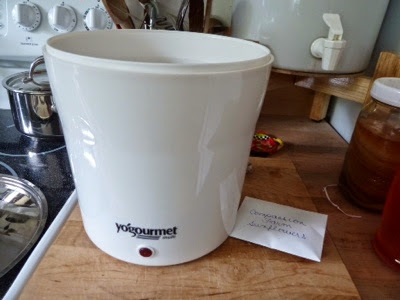 I bought a yogurt maker. My cousin has one and highly recommended it. This is my first effort...in pictures. 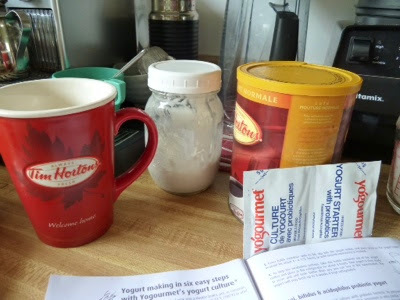 My probiotic culture to get the yogurt going, my morning coffee and coconut milk for the coffee. 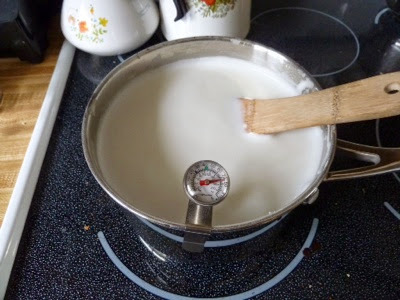 The organic milk heating up. Everything getting ready for the warming phase. Note the little package of Compassion Farm sunflower seeds. Can't wait to have my own. They are so lovely. 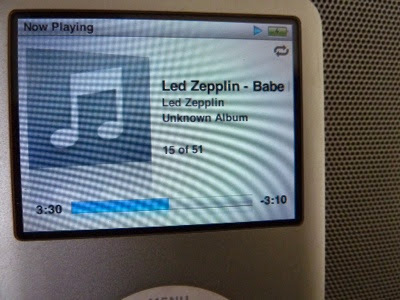 I am a girl who needs to listen to some tunes while I cook or clean. This was my selection for yogurt making. 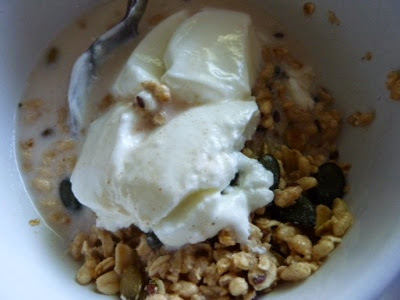 The finished yogurt in my granola.